Hi there podcast listener! Thank you for being here. 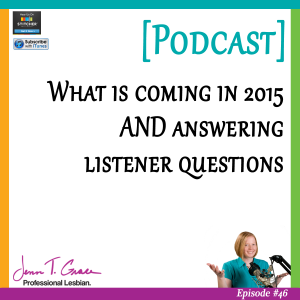 I am delighted to share with you my plans for this podcast as I enter year 3 of doing so. I also discuss ways in which I will be improving my blog and products going forward as we enter 2015. This is the first podcast of many where I am including a full transcription of the podcast, which you can read below. Three (3) years in: What new content will you get to improve your LGBT efforts? My first book – updated! Play the episode by clicking below! Welcome to podcast episode #46! Well hello and welcome to Episode #46 of the podcast. I am your host, Jenn Grace, and today I am going to share with you a couple of things that may be seemingly random but we’re going to just talk about a couple of things and this episode is probably going to be a little bit shorter than most. So I have three things. So the first is that I want to share a little bit about the half marathon that I completed this past weekend. I’ve been sharing details of this journey with you since I decided to do it, probably I think it was over a year ago and I’m pretty certain I started talking about it on the podcast from the get-go, so I just wanted to give you a quick update on that. I want to share with you information about what’s to come on the blog and the podcast going forward, because November marks – this will be going into my third year of blogging and podcasting – and going into the third year I’m making some changes that I want you to be aware of. 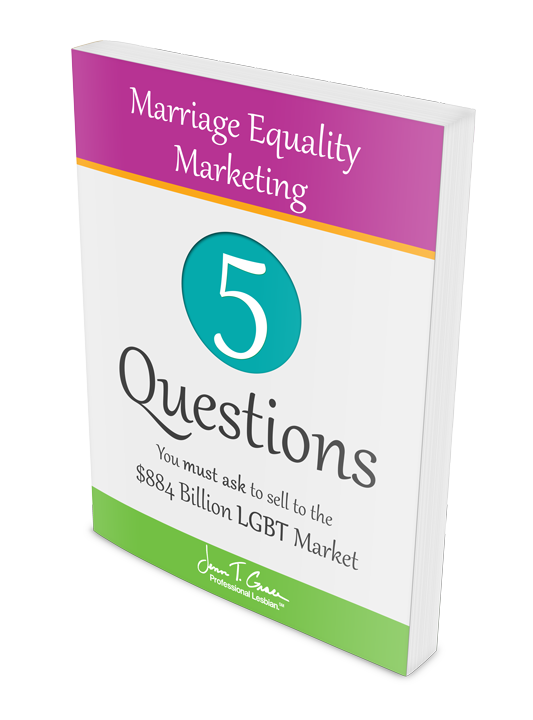 And then I have four questions that somebody who attended my webinar last month in October, she had asked me these via email and I have been telling her for quite some time that I’m going to respond to them and I just don’t have the time to type up a written response that I feel like it really deserves; so I decided that I will answer her questions on the air because I think there’s something in here that you can learn from as well. So I’m hoping that by my answering her questions there’s something as value for you as well. So that’s pretty much my agenda for today, like I said chances are this is going to be a shorter episode than usual and I feel like that is completely okay. So I said the first thing, I just want to share with you that I have finally completed the – I almost said damn but I shouldn’t say damn because it was a good thing. So I have finally completed the half marathon that I set out to complete in August, 2013 is when I first came up with the idea while out with a friend over drinks at the beach, we decided, “Hey, let’s run a half marathon,” neither of us being runners mind you. And we set out to do the Disney Wine and Dine Half Marathon which was this past weekend which was November 8th and 9th I believe the dates were. November 8th is what my medal says sitting next to me right to my left. And it was quite, quite the process. So I feel like the reason why I like talking about it on the podcast, I think there’s just so many similarities between running when you have a goal and then just running your business. I know I’ve said this before in speaking engagements that I’ve done recently, but there really are so many similarities it’s scary. So one thing is that I was completely and utterly ready for this. Even though I had anxiety around it, like I didn’t want to get picked up by the pace car, there was a whole bunch of things. And ultimately because I put in the amount of training that it required which was running three to four days a week for the last twelve months, thirteen months, I was completely prepared. However, what I did not prepare for was the fact that it would be torrential downpouring. So the race didn’t begin until 10:00 PM, and when we were there we were wondering why on earth did we pick a 10:00 PM race to do as our first, and we decided that it was all because of me, because I said that I wanted to do a late one so I didn’t have to worry about getting sunburned. So of course it’s all on me for having decided to do a late race, but it started at 10:00 at night, and our corral didn’t start until 10:40, and it started raining exactly on cue when the first set of fireworks went off for the first folks in Corral A to begin. So I mean exactly at 10:00 PM on the dot, it started to rain. So we didn’t start until 10:40 and we stood in the rain, fortunately we had ponchos, and it was pouring; and I mean like really, really pouring. And we ran and it took just about three hours which factored in stopping at the bathroom twice, stopping at the First Aid Tent twice, stopping and getting water, taking pictures with the mile marker signs. So there was a whole bunch of things that we were doing in between actually running. And we didn’t finish – we got across the finish line somewhere around 2:00 AM and it continued to rain, and it rained- and there was an after party at Epcot, and it went until 4:00 AM and I am not a night owl when it comes to these things. So it was quite the long day. And it rained the entire time. You can’t prepare for everything! So I feel like it’s one of those things that while I was prepared for the running, the running was absolutely no problem whatsoever. My body felt completely fine, I did not factor in what it would be like to be running and then stepping in puddles that covered up to my ankles because that’s how deep some of the puddles were, I hit two of them in particular. One at like mile three and then again around mile ten. I had my entire foot covered. And that creates all sorts of problems because now your feet are literally just soaking, sopping wet as if you were standing in a pool of water. And it doesn’t make it easy to continue on as you had planned and trained for, et cetera, but at the end of the day if you think of it in terms of just business and other things, there are so many things- like you can plan, plan, plan, plan, plan until you are blue in the face but then something is going to be thrown at you, so kind of curveball is going to come your way that you have absolutely no control over whatsoever, and in a split moment you have to decide whether or not you are just going to go with your plan and hope that your training is going to pay out, or you’re going to just crumble and fall apart. And fortunately we did not crumble, we did not fall apart, we just kind of muddled through it because it’s one of those things like, hey I can’t control the rain, I can’t stop it as much as I and 14,000 other runners would have loved to, at the end of the day we had nothing that we could do about it. But it’s good because you just realize how much you’ve put in and how much it actually pays off because if I weren’t planned, or if I weren’t trained properly, then the rain probably would have been that thing that would have said, “You know, I just can’t do this,” and then not even tried. And I know that there were a lot of people who got picked up along the way because it was so wet there was a handful of people that- there was one woman that just slid on the boardwalk and just completely crushed her shoulder. A couple of other broken bones, people were falling everywhere, like it was somewhat of mess. And all the people there saying, “Oh, don’t let this experience judge how the experience should be because it’s not normally like this.” So it was interesting. It was very, very interesting and I said to my wife last night when we were making dinner, I said to her I’m like, “You know, I kind of want to do a full marathon now.” And then I said to her I’m like, “I don’t think I’m going to tell anybody this because if I change my mind and only want to do another half marathon,” which I actually already have two planned I’m doing because I feel like 13 miles is just a nice comfortable distance to run. I said, “If I decide that I don’t want to go through with the full 26 then I haven’t put it out to the universe for people to judge me on.” And then lo and behold, less than 24 hours later, actually less than 12 hours later, I’m here recording my podcast and telling you that it’s on my mind. So I haven’t decided entirely if I’m going to do it but I really think I might. And if I do it probably won’t be until next fall so I have a full year to get myself together to double up my distance. But at any rate I find that doing this is just helping me see the way that business operates more, and how every little thing that you do is kind of a building block on which to just continue to build your business. So if you can find habits and things in your day that you can do slow and steady one day a week, two days a week, three days a week whatever it is and you have a big goal at the end, I feel like you can actually – this sounds so corny and cliché but you can really accomplish anything that you want. And the reason that I talk about this so much is I feel like I am such a good example of if you decide that you want to do something that you can totally do it. Because in the case of running, you can ask anybody who knows me outside of a business environment, if they ever in a million years would have thought that I would run a half marathon; let alone be thinking about doing a full marathon, and they would laugh in your face and I’m not exaggerating when I say that. So if I can do that, then whatever is on your mind for your business – or even if it’s for health – I guarantee you can do it if you really just set out to get it done, and not give yourself excuses, not find a reason why you can’t do something today or for some reason something comes up, how can you kind of correct that at a later date and really just continue on doing what you’re doing to achieve whatever that monumental goal is for your business. I am certain that there’s probably some kind of book that exists already that talks about just running as a metaphor for business and what have you, but it’s on my mind to be- even if it already exists for me to write something and try to tie in how LGBT marketing and communications and business and all that kind of stuff all kind of ties into this. So it’s something also that I’m thinking about. Who knows what will happen with that but it is what it is. So that’s really, like I said I just wanted to kind of update you on that and just give you the run down to let you know that I did survive in the rain, there was no being picked up by the pace car which to me is everything that I was hoping for was to not get picked up. So, mission accomplished. So, that is that one piece. So like I said this might be a shorter episode and it’s trending that way so far. So thank you so far for listening up to this point, I appreciate it. And now I want to share with you a little bit of information about what I am doing for the new year. And I know it’s the middle of November, so you may be thinking about what your 2015 goals are, I know I’m certainly thinking about it and I love efficiency. And I have talked about this in the past. I write about it on the blog, I just love things when they are efficient, when they’re streamlined, when they’re doing what they’re supposed to be doing, et cetera. However, I feel like it’s not always the case that you evaluate everything that you’re doing to see how efficient it is and how much it’s working or how profitable something is. So I’ve been taking a hard look at what I’ve been doing over the last two years so this podcast started officially, it was January 1, 2013, but I started doing the test recordings, I started learning how to podcast because if you recall I had no idea what I was doing; and I started all of that in September of 2012. So when I started doing the podcast, or trying to learn how to do the podcast, I had this moment of like, “Aw crap, now I have to have a blog because I have to have a place to put the podcast.” So when I was doing that I decided on, I believe it was November 2, was the first day I posted a blog. So it was November 2nd of 2012. And it’s truly been a ‘haven’t looked back since I did it that one day.’ And as you may know, for those listeners who’ve been around for a while you’re aware of this, but for people who are new the reason why I started the blog and the podcast was that I was having a lot of conversations with people and they were really, really interesting. And I kept having that reoccurring thought of, ‘If only somebody were a fly on the wall to hear this conversation and hear how much good information this person has that I’m talking to, that would be so awesome.’ And I have two examples in particular, where I had two amazing conversations in one day and I was like, ‘There has got to be a way I can do this.’ And lo and behold I’m like, “Oh my God it makes so much sense, let me just start my own podcast,” because I’ve been listening to podcasts for years and years and I love them. And I had been listening to them since they really just started beginning back in 2005. So I started the podcast and with the blog, I started writing about questions that people were asking me specifically a really good friend of mine who has good intentions but most of the time has no idea what is going on as it relates to LGBT, but she really wanted to learn and wanted to be more educated on the subject so she could work with her client base more effectively. So she would ask me a question via text, I would answer the question, and then I’m like, “You know, I’m just going to start writing about this on the blog because if she’s got this question chances are there’s a bunch of other people who have the same exact question.” So basically I just wanted to give you that rundown of where this whole idea came from and where everything spawned from. So now that was in November of 2012. We are in now November of 2014. And in the last two years I have written a blog every Tuesday and every Friday of every single week for the last two years without missing a single one, not one. So that equates to over 300 different blog posts that I have written. 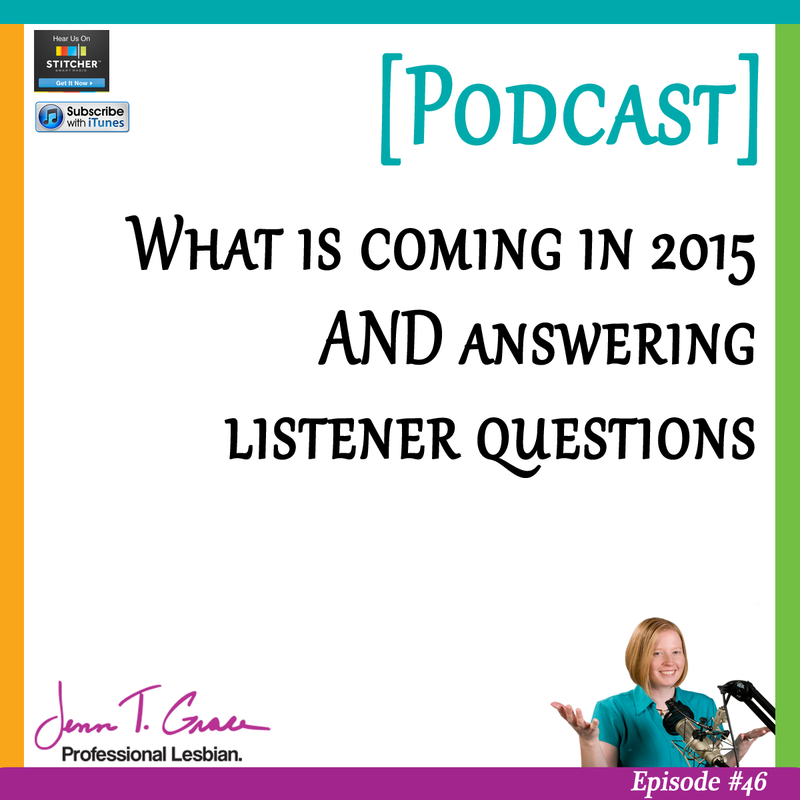 In addition I have recorded a podcast every other week for two years straight which is why we are up to episode number 46 right now, but there are an additional 30 other episodes that were part of a special series I did in June for Pride Month. So I’ve recorded 76 podcast episodes. So that basically gives you 376 pieces of information, pieces of content, articles, stories, interviews, you name it, on my blog that currently live there right now. So if you go in and type any key word, chances are something is going to come up on my website as it relates to that key word. So I have to admit, I feel like I would be lying if I wasn’t completely honest with you about this. This is a really time consuming thing to do. So writing on the blog twice a week, recording the podcast every other week, it’s a lot of- it takes a lot of time, takes a lot of effort, and even though now when I started doing this my website itself, it wasn’t great looking, it wasn’t terrible either. Definitely it did the job, I had a great following then, and then in June of this year I revamped the website entirely, I hired an amazing woman, Chris, who I would recommend to you in a heartbeat to re-do my website and I’m totally in love with it still. So what we did when I re-did the website is that we changed things around so that way some of that old content was easier to find. So that way if you go to my website now and you click on Free Resource and then click on Blog, you’ll see the hundreds of different options of content that you can go and check out. So I tell you all of this because it has taken two years to build such a strong foundation of information on my website that is 100% free, all of it. So I don’t charge anyone for listening to the podcasts, I don’t charge anyone for reading the blog, I don’t currently have any advertising on my website, and honestly I would like to keep it that way, I really do. I like when you can come to a website and you’re not bombarded with popup ads or banner ads, or that re-targeting where if you were just on, for example I was on Gap.com yesterday, now I have all these Gap ads everywhere on the sites that I visit. I want you to be able to come to my site for it just to be clean and fresh. So what I’ve decided to do as I enter the third year, so I feel like this is my third birthday as it relates to podcasting and blogging, even though I’ve been a business owner and been in business for many more years than that. But as it relates to this piece, this is my third year. So what I’ve decided to do is I’m going to cut back a little bit on the amount of stuff that I’m posting, but when I do post it’s going to be of equal or greater value in terms of content than what you’re getting now. So for example, right now my podcast goes out every other Thursday. And it’s been going out every other Thursday since January of 2013 and it works, it’s a good rhythm, I’ve got a great audience and I love all of you, obviously you’re listening to the podcast so you probably are familiar for when the podcast comes out. But also on Tuesdays and Fridays I’ve been posting about marketing and communications. And most of the time I can find a distinction between marketing and between communications. But there’s a lot of times where I’m writing about something that could fall into either bucket, but I’ll just put it in the Communications Tuesday, or the Marketing Friday because I have space to fill in one of those areas. However what I’m going to do starting going forward, starting this podcast, today, Thursday the 12th I believe today is. Nope, today is going to be the 13th. It is, wow, I don’t know what my days are. So starting today, Tuesday – oh my word I’m a mess and I’m not editing this, FYI. Starting today, Thursday, November 13, 2014, this is going to be the first of just Thursday post. So this podcast will be on Thursday. Next week there will be a new piece of content, a new blog but it will be on Thursday instead of Tuesday or Friday. And then the following week will have another podcast on Thursday. And then the following week there will be another blog post on Thursday. So going forward, starting today, all of my new content will be going out on Thursdays. So I just want you to know that because now I will be reducing the number of blogs I have to write but I will be keeping up with the same amount of podcasts that I’ve been doing, because I really do love my podcasting; this is really – it’s the thing that I started doing early on and it’s the reason that I kind of formed this business and it’s kind of morphed and shaped the way it is and it all began because of doing this podcast. So I will certainly be continuing along that path and finding new guests and all kinds of great stuff. Speaking of that, if you know of anyone that you think should be interviewed on here, please let me know, because I would totally love to hear from you with who you want to hear from. And of course if you have a connection with that person please let me know and I will do my best to get them on the show as a guest. Because I think it’s going to be really important to hear what other people are doing as I’ve always kind of felt, so that’s really the game plan going forward. So I’m trying out a new piece of software that will allow me to find the old blog posts that I have, and the old podcasts, and bring those to the surface in my social media. So that way if you happen to go on my Facebook page or on Twitter, or even on LinkedIn which is where I’m usually hanging out is on LinkedIn. If you go over there then you’re going to see old information brought up to light that you may have missed in the past because even though I have the 375+ pieces of content on my website, they’re not always really easy to find. So I’ve gone out of my way to try to make it easier for you to find, but I understand that it’s still not the easiest. So I want to be bringing some of that old information back up because it’s all very, very timeless. You know, like even this podcast, the information that I talk about in this podcast is almost always timeless, they’re timeless types of tips. The ways that I date myself in the podcast is by telling you that today is November 13th of 2014. So if I weren’t saying that chances are you could be listening to it in two years and, you know this is a bad example – today’s podcast – but traditionally in other podcasts there’s not much that’s going to tell you that this was recorded two years ago. So that’s what I have in store for you and one of the reasons why is going back to the whole efficiency thing, is I need to have more time to do other things in addition to providing all of this information to you. So I need to have more time so I can write another book; so I’ve already written two, I already have thoughts on three, four and five. I know that sounds crazy, but I do have thoughts on three more books. It’s a matter of getting myself organized and really figuring out how I’m going to conquer each of them, when I’m going to do it, going back to the whole marathon analogy, really kind of plotting out what the training will be for getting the book written and what’s the goal, when will I have it released to the public, all that kind of stuff. So the less time I have to focus on creating tons of content on this website, I can spend more of that time writing new books and creating new courses and all that kind of great stuff. My first book which was titled, “But You Don’t Look Gay,” I’ve actually re-done it recently. I just updated the cover so that way the cover looks a little bit nicer and it is more in line with my second book of, “No Wait, You Do Look Gay,” and I’m really excited about it and I hope you definitely go check it out and I’m pretty certain if you go to ButYouDon’tLookGay.com it will bring you right over to Amazon and you can check out the new cover and now the subtitle is ‘Six Steps to Creating a Successful LGBT Marketing Strategy.’ And the cover before said something about like ‘Successful Marketing Strategies for Reaching the LGBT Community,’ and it was very long and a lot of letters to be putting on a cover. So it’s things like that that I’m really excited about having time and more resources to be working on. And then one other thing as it relates to the podcast, is that now I’m going to actually be transcribing all of these episodes. So this is something that I have been wanting to do for an eternity. Like it has been probably since the day I started doing this, that I have thought, ‘I would love to have this completely and fully transcribed.’ And fortunately for a client that I work with I just had to hire a transcriptionist for something that we were doing, and the woman was just fantastic and great and I said, “You know what, I’m going to ask her if she will do my podcast.” And she agreed so as you’re listening to this one, again if you’re listening to it the day it comes out, November 13th, chances are you are not going to see the transcription of today’s episode on the blog yet. And if you’re listening to this two years from now, you’ll definitely see that information because I’m trying to figure out a schedule that works for everybody so that way I’m recording it far enough in advance that she has time to do it so that way it’s available the day it comes out. So there’s a lot of logistics going in to play here, but it will be great because now if you prefer to read or if something was discussed on the episode and you wanted to go back to find it as a reference if it were a statistic or some kind of resource, then you’ll be able to go to the site and search for it which will be completely awesome. So I’m really, really looking forward to it. So not only will it be great because I’m transcribing the episodes going forward, but I also have her chipping away at all of the back episodes; so all of the other 75 episodes, I have her going through slowly one by one transcribing those and changing – and I have somebody on my team who helps with social media, she’ll be going in and adding all that information to the blog posts. So I’m really, really excited about all of the changes that are to come in 2015. And really at the end of the day, the reason for doing all of it is to just be more efficient, be more effective and find other ways to continue to bring value and content to you because clearly, you’re here, you’re listening to this, you enjoy the show because if you didn’t you wouldn’t be listening to this right now, you would have given up already. So I want to make sure that what I’m providing you has value to you and it’s something that you want to hear, you want to read, people you want to hear from, so I’m really just trying to listen to you and make changes to provide more opportunity for me to do more custom things for you, my beloved, beloved audience. So if there’s something that you want to hear from me, please, please reach out to me. All of my contact information is on my website so just head over to JennTGrace.com and you can find any way on there to reach out to me. If you want information about today’s episode in particular you can go to JennTGrace.com/46 and that is for Episode 46, and yeah. So I’m really excited. So if you have anything to share with me, please shoot me an email I would love, love, love to know what is on your mind and what I can help you with. 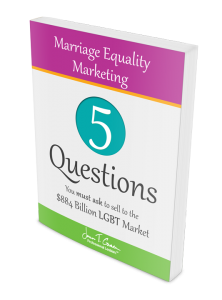 So now I want to share with you four questions that I received from a woman named Jackie who was on my webinar in October and I always encourage people to reach out to me and sometimes it takes me a little bit longer to respond than I would like. However, I have a quite a massive backlog of emails and voicemails and you name it, of people wanting some kind of information from me. And I love to talk to people and I love to have one-on-one conversations so I would rather it take me more time to get back to you, but for us to have a really healthy conversation versus me just kind of respond with something really generic and not really listening to what you’re saying. So this is one of those examples, it’s a really good example of it. So Jackie was on the webinar, we talked about all sorts of things; if you want to check out when the next webinar is for yourself you can go to JennTGrace.com/webinars and you can sign up for the next one. But for the most part we talk about the same types of things each month and I bring in new information every time I have a new one that comes out, and I encourage everyone to reach out to me and she was kind enough to do so. And I’m not going to go into the whole email that she wrote because some of it’s personal and I don’t want to call her out on certain things, but I do want to read her questions and answer them. And hopefully I’m not going to spend too much time on each question but I’m hoping that it will give at least you, Jackie, a better sense of where to go from here and then for those listening who are hearing me answer this question for you hopefully there’s a little bit of value in it for you as well. And as I begin to read these questions, please know that I have read them once and I did not prepare in any way shape or form for answering them. A lot of times I’ll have kind of my own little Cliffs Notes next to what I want to talk about or points that I want to highlight; and in this case, I have not done that. And I figured when I read the questions, I’m like, “I feel like this is kind of one of those off-the-cuff type of ways to answer it.” And I actually think that will be of a better benefit for everyone. Okay, so question number one is – and she prefaced with, “My questions range from business to somewhat personal, I’m not sure what is appropriate, especially because I’m sure a large portion of them could be answered through your resources.” So that’s how she prefaced the following four questions. So number one: How do you approach people regarding your business? To me, this is a genius message because it’s not one many people are comfortable discussing. And in reading this question, I feel like it’s really tough. You really have to have your own message figured out. So how do you approach people regarding your business? My business, you know I have really self-proclaimed myself as the professional lesbian. And for awhile when I started this, I hadn’t officially called myself that; I was jokingly saying I was a professional lesbian for – it’s been like ten years that I’ve been jokingly saying this. And when I decided that I wanted to- what I found kept happening is somebody would say, “Oh will you send me your logo, or oh will you send me this, or send me that?” And it was always something about my brand, about my logo. You know I have very distinctive brand colors that I use on everything, I have certain fonts that I use on everything. But at the end of the day I didn’t have an actual logo, which seems so sacrilegious it’s not even funny. But at any rate, so I reached out to a friend of mine and I said, “Listen, I need a logo, I don’t know what to use,” and we ended up talking about being a professional lesbian. She’s like, “Why don’t you just go with that? You say it all the time, why don’t you just go with it?” And that’s when I kind of stuck the flag in the sand, I was like, “Alright, fine. I am going to do this.” And I remember when I began the blog in November of 2012, I remember thinking about it then like, “Oh, I could just be TheProfessionalLesbian.com or I could be something that effect. And I remember talking with my business coach Maria, and we were talking about do I want to be possibly that polarizing? Do I want to really come out of the gates sayings, “I am a professional lesbian.” Or do I want to be somewhat more innocuous for now? And at the time I was really kind of on the fence; I wasn’t really sure what direction I wanted to take because I am a really blunt person and I think most people know that, especially if you’re a listener to the podcast, I feel like you probably get that vibe. But at the end of the day, when I made that adjustment to saying Professional Lesbian, my having to approach others regarding my business – to answer your question – has been completely shifted because if I’m having a conversation with somebody and they say, “Oh what do you do?” and I say, “Oh I’m a professional lesbian,” I get such interesting feedback from that because there’s no mincing words. There’s no hemming and hawing over like, “Huh, what did she just say?” Versus me saying, “Well I consult on LGBT marketing,” or “I consult on LGBT business,” you know like I could say those things – and don’t get me wrong there are plenty of times where I’ll take a more strategic approach with how I’m responding to someone’s question, but most of the time I’m just really blunt. Or I’ll hand them my business, they’ll look at it, and then they’ll laugh. And that is perfect, because it gets people in a mindset where I haven’t made them uncomfortable with what my business is about. They’re looking at my card and then they get a good laugh out of it. And then they say, “Well what exactly is a professional lesbian?” And then the door is wide open for me to walk through and talk to them about with how I do my business, what my business is about, et cetera. So I would say for you, you know how do you approach people regarding your business, I would say just try to figure out what your message is, what your USP (your Unique Selling Proposition) is. Like what is it about you that makes you really unique that will help you move your business along but also help people understand why they would want to do business with you. So think about your business, and I’m not going to go into too many details about what your business is generally speaking, but just think about what is going to make people resonate with you? And I know that you said this is a genius message because it’s not one many people are comfortable discussing, I know your business is built around not trying to get people out of feeling uncomfortable around coming out and being LGBT and all that kind of stuff. So I would really be trying to think of a way to make your message more digestible for those that you want to receive it. Hopefully that made sense and it wasn’t just me rambling about nothing. And if it doesn’t make sense enough to you please feel free to send me an email as a follow-up with any follow-up questions, maybe I will respond to them on the podcast again. My curiosity stems from utilizing something that is so close to you and turning it into a business model. For me, my struggle is the niche market I feel like I have but I don’t want things to become so business-oriented I lose the purpose behind my goals. So I feel like this is kind of a hard one to answer. And maybe it’s hard because I don’t know how to answer it succinctly, but I think what you’re stating is you want to be able to turn your own struggle for lack of a better word, and using your own terms, and figure out how to make a product, or how to make a business for yourself. I know in your email you talked about having a struggle mostly with your parents and their strong religious beliefs and their own internal battles with you being LGBT, and this is why you’re motivated to get out and help others who are probably experiencing the same thing. I’m confident that there are a lot of people out there who are having some sort of emotional battle with either their parents or with religious institutions about coming to terms between LGBT people and faith. And I had a great podcast interview with Candice Czubernat, awhile ago and I’ll make sure that I include the link to her episode here in today’s blog post that goes with the podcast. But she really talks about the convergence between being a lesbian and her faith. And she’s very much a Christian and she’s finding that balance between both, and I think that while that’s the balance and the angle that she’s taking; the angle that you’re talking about is really that struggle and how can you take that struggle and instead of making it become so business-like that you forget and lose sight of what your end goal is, so how can you kind of run those two in tandem together. And I think it’s one of those things where if I think about my business, so my business at the end of the day – at the core of why I do what I do – is because I want our society to be better for people who are LGBT. And my angle for doing that is by helping the allies of our community be more effective at the way they communicate, be more efficient and more effective with the way that they’re marketing to the LGBT community. 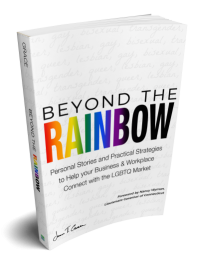 Helping businesses, whether they’re large corporations or small business, really understand how being an LGBT employee within one of those companies kind of has an impact on that person’s life. So the more I can educate business owners, corporations, et cetera, on the implications of being gay in a work environment or marketing to someone who’s gay, the better off I think I can make the collective hole. However, at the same time, that is a very lofty, crazy goal and I know that I alone cannot accomplish that. So I do rely on the amazing people that read my blog or the amazing people listening to this right now because they’re too kind of contributing to that larger goal of mine. But at the same time, I find that I have a struggle occasionally and this is a really fresh example and it may come off kind of cryptic because I don’t want to call out this particular company, but I had a conversation on Monday with a company who is very much a Christian-focused company, they’re very – and I just want to put this out there, I have absolutely no problem with Christians, with people of any type of religion for that matter. It just happens to be that this one happens to be a very Christian conservative company that has a known stance of being anti-LGBT. So this is not the case with every Christian company and not all Christians hate people who are gay, that’s not what I’m saying here. But this particular company that reached out to me is exactly that. And they wanted to work with me on some sort of cross-promotion where I would kind of help sell their product in an advertorial type of way – like I would talk on the blog about their product and talk to you on the podcast possibly about their product and say, “Hey, they’re really trying, and they’re really trying to market to the LGBT community, I want you to check out their service, their product, blah, blah, blah.” So when I’m talking to them, it was one of those moments where I’m like, “Okay, so I don’t want to lose sight of my goal, and my goal is to help the LGBT business owner and to help the ally trying to reach LGBT consumers. If I am going to promote this product or service on my website then it has to be exactly in line with what you, the listener, are expecting from me.” And in this particular case I would have been a complete and utter sellout if I were to write or talk about this company on my blog or podcast and say, “They’re great for LGBT, you need to check them out, you need to do business with them.” Ultimately, I do appreciate that this company reached out to me because they are trying to make strides in the right direction and when you’re coming from a place of a disadvantaged place basically, because you have a bad reputation as it relates to being anti-LGBT. That’s going to be a really tough hill for them to climb to kind of get out from under that shadow. So I’m okay with trying to help them, but at the end of the day I have to balance that business versus personal versus goals of my business. So your question, and you’re talking about your struggle being the niche market is that you don’t want it to become so business-oriented that you lose purpose of your goals. I think if you can just sit back and evaluate each and every opportunity that comes to you and figure out if this is the right direction for you to take the business in, I think you can find that balance. So in this particular case when I was talking to this company I asked them a dozen different questions, none of which he could really answer but he promised me that he would go back internally and try to find some of those answers. And I said, “I’m open to talking to you further about this, this is not a direct no, but I have an obligation to my audience to make sure that I am bringing the best possible opportunities and services to light to them; and right now you are not it based on your current reputation. But that doesn’t mean that I am completely against helping you figure out your way in this very tricky landscape of LGBT business and marketing. Because ultimately that’s what it comes down to; we are in a very tricky- working with the LGBT community is not an easy task and if you have an anti-LGBT reputation from the onset, you’re kind of coming at it from a really – you’re in the hole. Like you have to kind of get yourself out of the hole before you can even think about how you’re going to actually market in an authentic and transparent way. And that’s what I said to him on the phone I was like, “Listen, this isn’t authentic, this isn’t transparent. It’s very obvious on the surface that this is not something that the entire company is embracing. So we need to talk about that first.” But I was able to – like I could have just said, “Yes,” and I probably could have made a good amount of money by just saying, “Yes,” and then pushing this product or service in front of you, but that would have made me lose sight, lose purpose behind my goal. So I think that if you can just evaluate each and every thing as it comes to you, then you’ll probably be able to figure out what that balance is. But trust me it is not going to be something – I know that you’re (and I probably should have mentioned this to the listeners), but you’re a very new business owner. This is a very new foray for you. So I think this is one of those things that is going to take a constant amount of time and development to really understand where you draw the line for certain things. And I think it’s only going to continue to happen over time, and the more times things like this come up and the more times you evaluate them that finally at some point you’ll have some sort of metrics and a system that you can go by saying, “Alright, if somebody comes to me with A, here are my options. Or somebody comes to me with B, here are these options.” That way you can kind of give yourself some sort of roadmap to go on basically. Okay, so I hope that answered that question. What were some of your most successful action plans to build your chamber? So to give a little bit of context, we were talking about (this again, came from the webinar), is I was talking about the just importance of having an LGBT Chamber of Commerce in your area.  And I jokingly say this all the time, and I’m hoping that somebody takes me up on it, but I always say that if you don’t have an LGBT Chamber of Commerce in your area, you should start one. So I was part of the very beginning of the Chamber of Commerce here in Connecticut. And it formed back in 2007, I joined – I was on the marketing committee before we launched, so we launched in October of 2007, I got involved in like August. So I wasn’t part of the founders of the Chamber but I was definitely one of the first volunteers who just signed up and said, “I don’t know what a Chamber of Commerce is but sign me up.” So there’s plenty of things on my blog and past podcasts that you can listen to find out more about that but I want to stay on point of answering the question in terms of what were some of your most successful action plans. I would say the most – I feel like I had a lot of things that I think worked in my favor from the members that I had, from the board that I had, from different volunteers that I had. But I think that the number one, if I were to really boil it down to one single thing, is that I had a big goal that I wanted to accomplish. And every single step I made, and every single thought I had in my head, was, ‘Will this X get me to my goal of Z?’ And if it didn’t, I wouldn’t do it. But if it did, I would totally do it. So I was involved with the Chamber as a marketing committee chair and then I was on the board, then I was the Secretary of the Board, then I was the Executive Director, then I took a short hiatus and now I’m currently serving as the Vice-President. So this chamber has been in my life since 2007 in some way, shape or form, and will probably continue to be. And I really think that the number one thing was back in 2009 is when I became the Executive Director. And I remember saying, and I made this very clear to almost anybody that I talked to, was “I want our Chamber to win the Chamber of the Year by the National Gay and Lesbian Chamber of Commerce.” That was my goal. It was a very kind of surface type of goal of like, I want our Chamber to have national recognition for how we good we are. But in order to achieve national recognition for being good, or to showing how good you are you actually have to be good in order to get it. So I made it very clear that when I first took over that I wanted to win the Chamber of the Year, and that was it. There was no mincing words, I made this clear at all of our events, I told our members, and it really helped people get into a mindset of, ‘Let’s all do this together. Let’s find a way to make this happen as a collective unit, as a team, it’s not just me.’ It was me leading the charge with a lot of people behind me to get to that end goal. And if somebody reached out to me and said, “Do you want to host this event?” I, in my mind, would say, “Is this going to get us Chamber of the Year? No?” Alright, I would say ‘no’ to it. Is this an opportunity that is going to get us more exposure that could lead us to giving one more thing in our belt to being the Chamber of the Year? Yes? Hell yeah, let’s do it. So I would say that that was the most successful thing that I was doing in terms of an action plan was just having a goal that was unwavering. So for your business I would figure out what that goal might look like, put that bad boy on a wall, print it out, hang it up, and everything that you do in your business should be going back to that one big goal. And I would encourage you not to make it be a goal like, ‘I want to make a half million dollars this year.’ I think you would have to have something that’s more tangible. You know, saying that you want to make money is all well and good, we all want to make money, but having something specific around it I think is more helpful and it definitely will help you not be focused on the wrong things. I think that when you’re focusing solely on money, it makes it really hard to make very clear decisions. But of course money will always play a part of it. So I would think of some interesting goal; maybe it’s that you want to help 15 people who are struggling with their LGBT identity and their faith. There’s 15 people. You know that’s a very tangible goal. Maybe it’s just trying to reach one person a month, and then figuring out what types of products and services you can offer to help that person. That one person per month. And that might be a very small goal. You know you have to start off small in something that’s manageable and then maybe it’s two people a month, then three, then four and then before you know it you’re expanding out your team of people to help you succeed in this mission. But I would say just have a goal and really just focus on the goal and kind of going back to the top of the show, when I was talking about the half marathon, I had that goal of being able to run the 13 miles by November 8th whether I was crawling across the finish line, whether I was missing a limb, I was going to get it done. But I had a very clear goal and I knew the small action steps and plans I had to build and create in order to get to that goal. So it’s exactly the same thing here; just figure out what your goal and then take slow and steady progress toward that monster. And then hopefully, that works. So please feel free to reach out to me with additional questions, and that goes to Jackie, but that also goes to anyone else listening to this. I really do like answering listener questions because I find that there’s always something good in there and I’m sure that somebody else, someone listening to this, have one of the four of Jackie’s questions as well. So I hope this all helped. I hope you’ve enjoyed today’s episode. As I mentioned in the beginning of the episode if you want to check out any links that were mentioned, get access to the link to the webinar, all that kind of stuff, you can head over to JennTGrace.com/46 and that is for episode number 46. So as I mentioned today being November 13, 2014, your next piece of content from me will be next Thursday, November 20th for the very first time in two years I am now going to one a week type of mentality versus two to three per week. So I really hope that you like the change and it works for you, and yeah that’s all I’ve got. I appreciate your time, I really, really do. If you have anything that you want to reach out to me with, please just head over to my website, send me an email, find me on Twitter, Facebook, LinkedIn, you name it. And I would love to talk to you, I really mean that. So thank you again and I will talk to you in the next episode. Have a great day!